This brocade evening dress is a modern take on a classic silhouette. 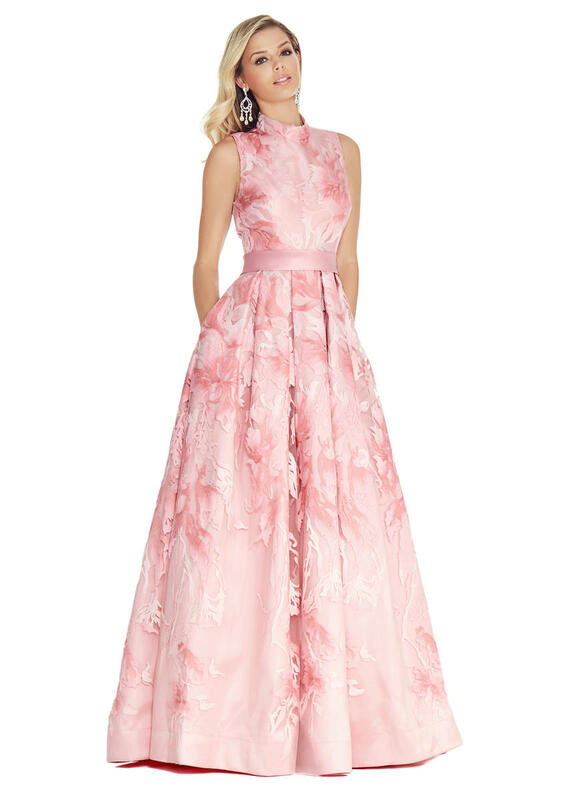 The modern blush brocade fabric is perfectly placed on the bustier and skirt while the Mikado belt accentuates the waist. The skirt is complete with pockets.